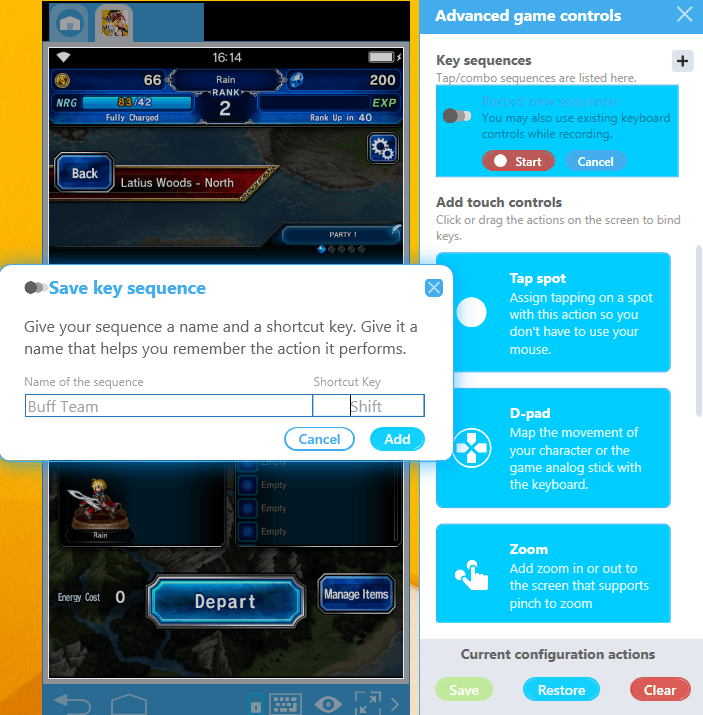 Combo Key is one of the most important and useful innovations for gamers that the BlueStacks 4.2 release brings: It allows you to created a recorded macro of every key press and action on the screen and then “replay” them with a single keystroke. Impressive, right? 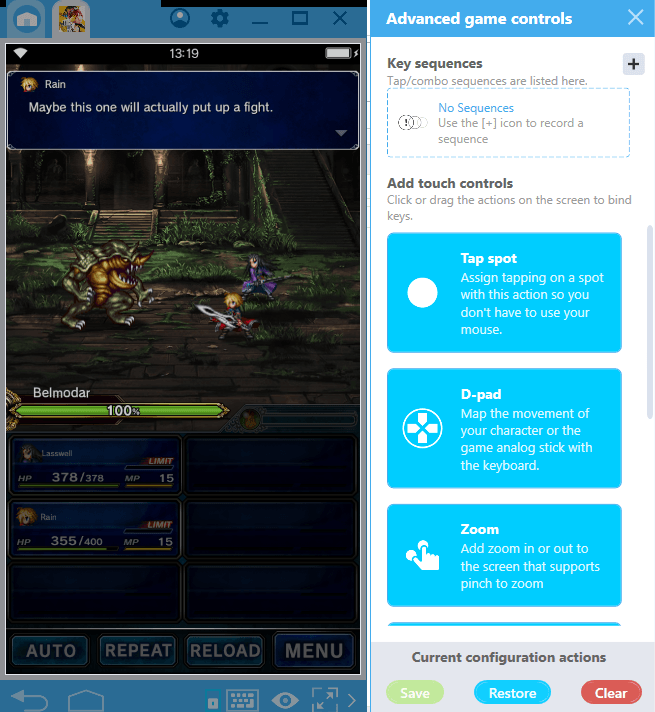 You can create countless action recordings for every option imaginable: Create a skill combo, act quicker in combat, and repeat that “perfect” option over and over – this is truly a macro recorder for Android games. 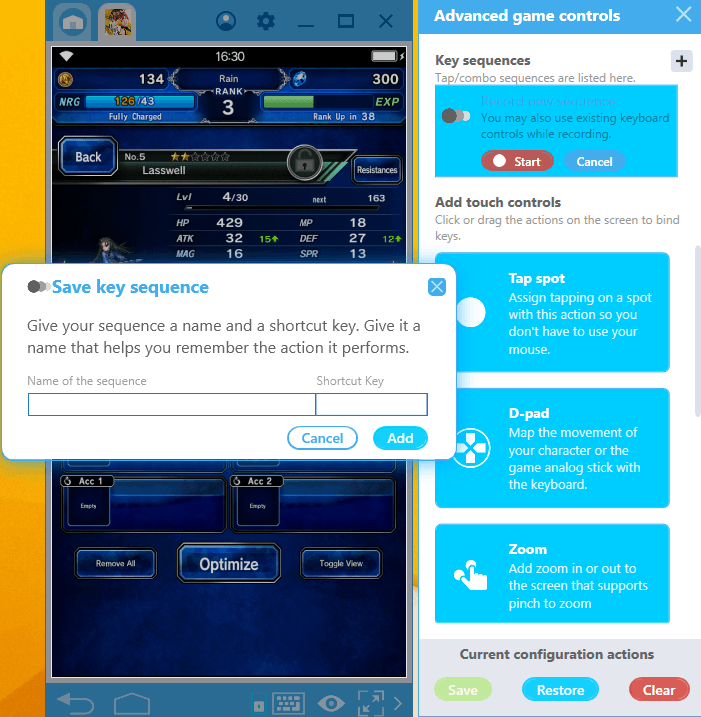 This is a feature that will change the way people play, and when we say that the Combo Key feature of BlueStacks 4.2 is useful in EVERY single game, we’re not exaggerating! 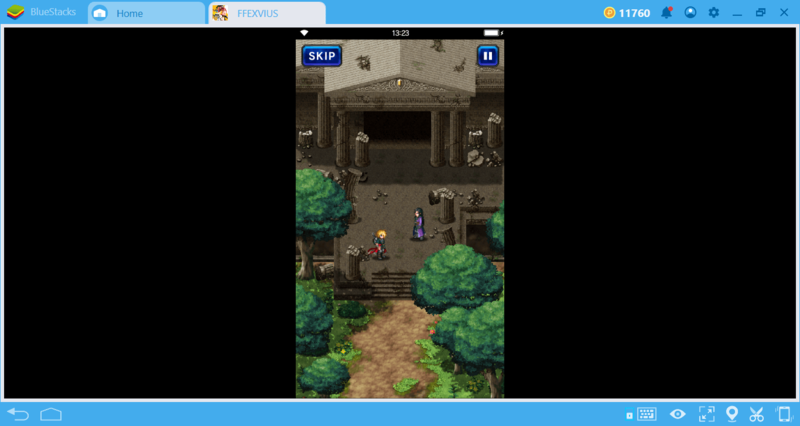 You can even use this feature in turn-based RPG games and focus on the action instead of “buttons”. 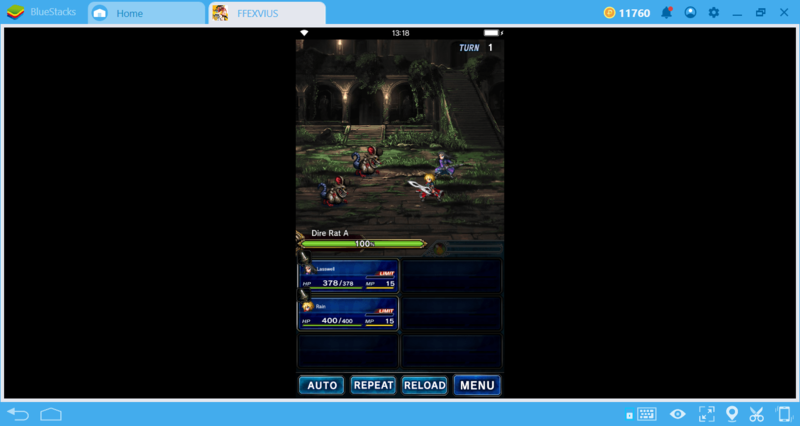 Combo Key makes the battle system much more dynamic and practical in all turn-based games. 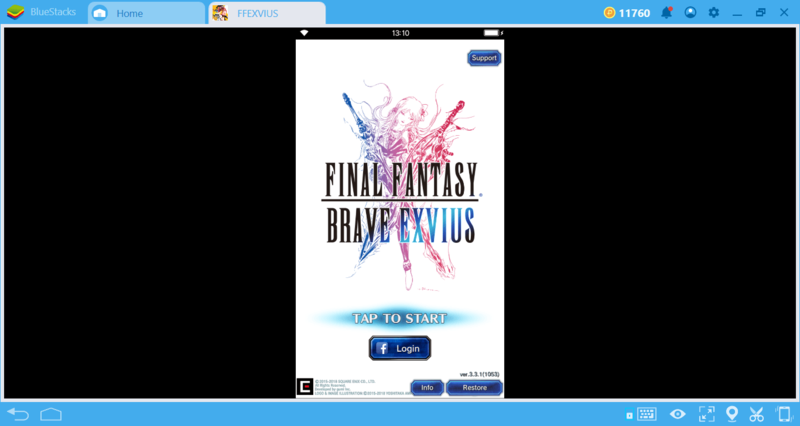 The best example of this is Final Fantasy Brave Exvius: In this game where classic FF rules are used, pressing a single key to play all recorded key sequences prevents you from getting bored and allows you to develop creative strategies. Let’s see how this can happen, shall we? In other words, you must use certain skills in combat to create a combo, for instance, it takes 3 clicks just to use a healing potion. If we consider that almost 80% of the game takes place on the battlefield, all this becomes tedious after a while. 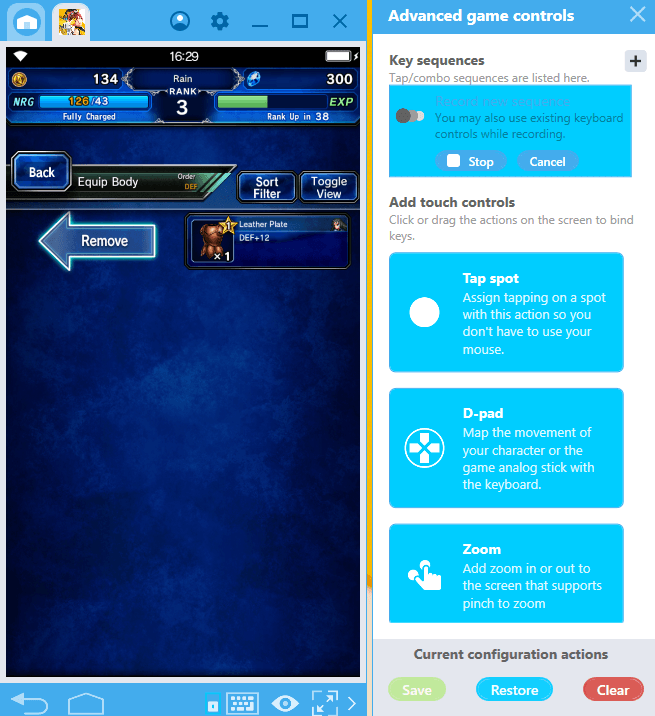 However, you can reduce the number of clicks required for an action and focus on fun with the Combo Key feature! When the battle starts, open the key-mapping tool menu. By clicking the “+” button in the top right corner, you can start recording the key and mouse sequences. Find out the best skill combos against enemy types, create a combo, and record it. After the recording is complete, assign a name to your macro and assign a shortcut. 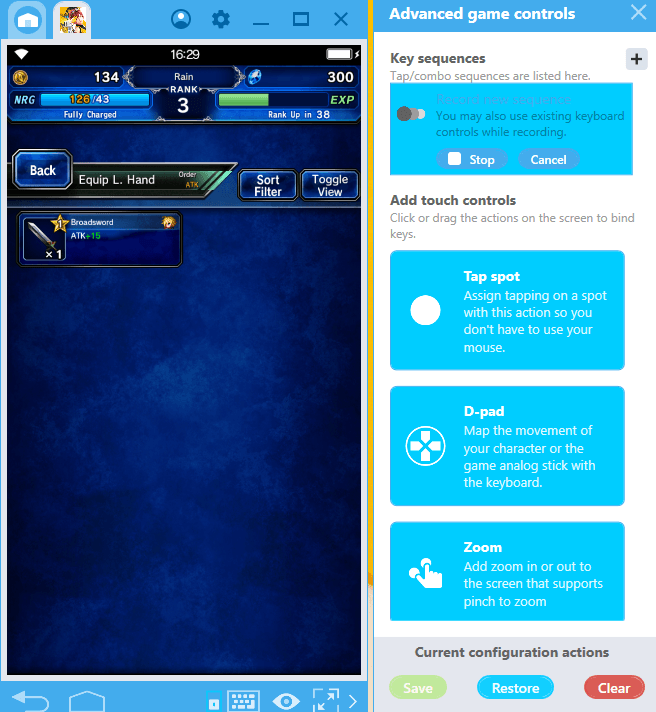 This is all: When you encounter a similar enemy in the future, you can press a single key to use the skill combo you have already created. 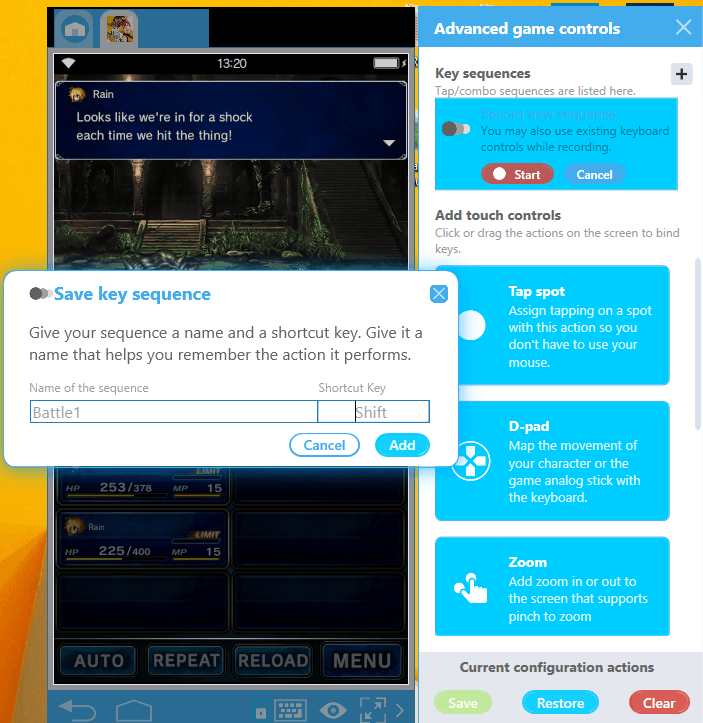 You don’t have to remember which skill to use, or you don’t have to press the same keys for minutes: Combo Key does all of this for you, with the press of a single ‘hotkey’. 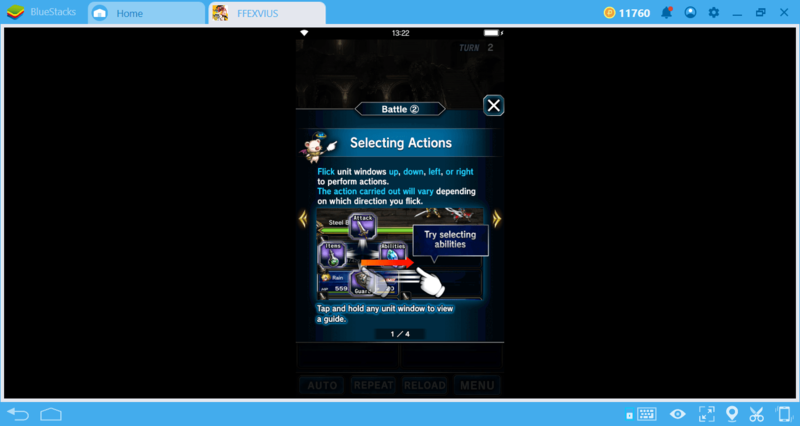 This is not the only benefit you will get: After each battle, you need to click on almost 7 different places on the “results” screen. So, even collecting the rewards takes about 45 seconds each time and requires multiple clicks. To get rid of this, you can create another macro and make all clicks with one key! You get to pick other heroes for your party before going out on a quest. Every hero adds a different bonus to your party and makes your job easier. However, the list is quite long and you need to browse through it every time. Finding the best heroes in this list can take up a lot of time. Once you are done, stop the recording, give it a name, and assign a shortcut. You can create different team setups for every situation. For example, you can add heroes to your team who give useful buffs. 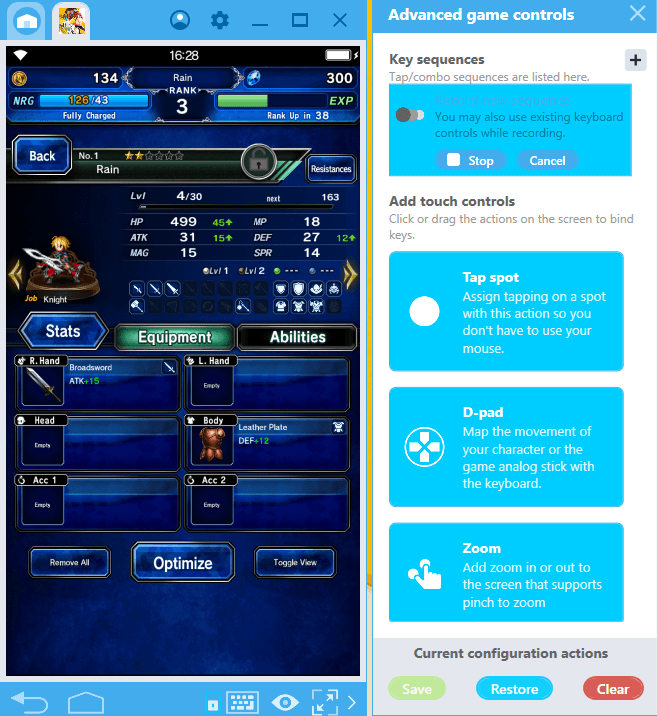 Or, you can pick the “debuff” option and form a party that will lower the stats of your enemies. Once recorded, it will be very easy to switch between these parties and you can bring the best team setup to every battle depending on the opponent. You will get lots of equipment as rewards for completing quests. Assigning these equipment to the right hero in your party is of crucial importance: Every hero gets a different bonus to his stats if you use the correct equipment. Moreover, every battle requires a different set of bonuses: For example, if you are going on a particularly challenging mission, you may want to equip a set that gives a bonus to health. Since you get six different equipment slots, switching between these can take a lot of time and can also become confusing after a while. However, you can fully automate this system with the Combo Key feature. This set will give +15 attack and +12 defense bonus. However, the current hero is not the best pick for this set: We should give it to another one. Start the recording. Stop the recording. In the future, if this set should be useful for another hero, we can give all of the equipment in it automatically – no need to click on at least 10 places on the screen. Each set of equipment will provide a different bonus, and you can fully automate switching between these sets. Just give a name to each set so you can remember it in the future. Boss Battle in any RPG game can be extremely challenging, depending on the difficulty level of the Boss. A typical fight will involve many challenging tasks including, choosing the right party with the right buffs and debuffs and complex battle mechanics that can be unnerving for a new player. Not to mention the huge number of keystrokes involved to execute all of these moves. 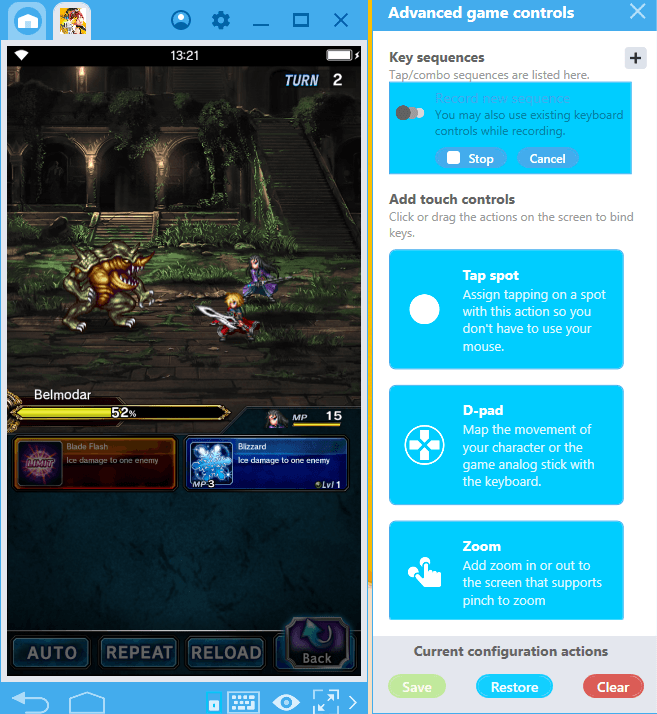 By using Combo Key, players can take the edge off Boss Battles by creating macros for a particular kind of party and battle style. Start the boss battle and let Combo Key take care of it for you. 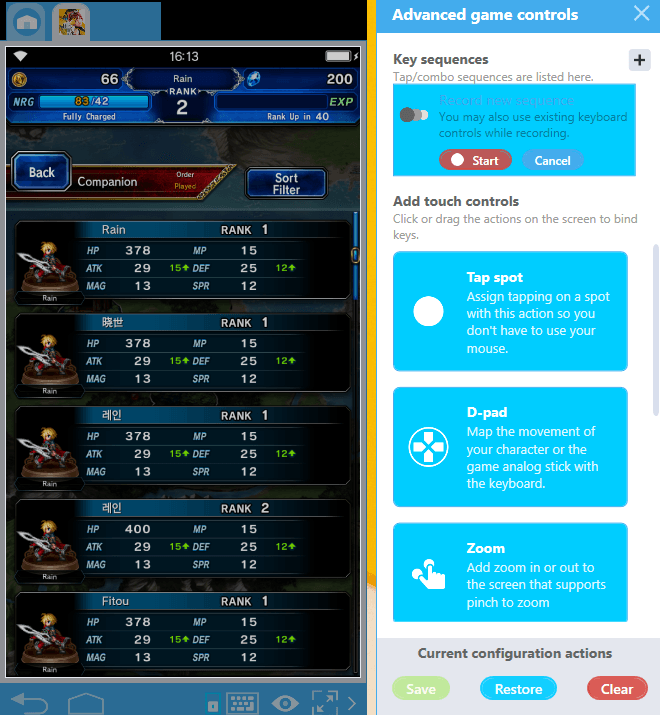 You will see that not only have you reduced the number of keystrokes involved in the battle, you are now able to execute complex moves with the same level of perfect accuracy every single time, without the risk of a mistaken touch / keystroke. 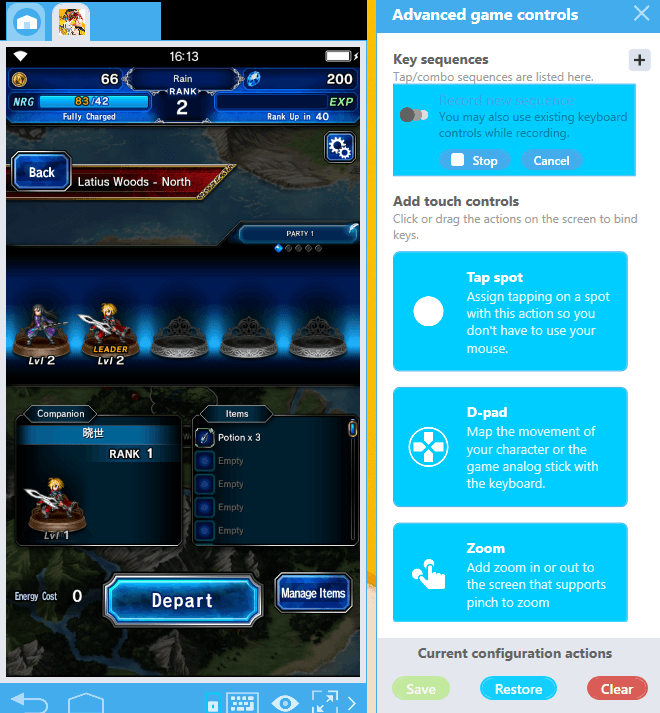 As you can see, Combo Key can be used to reduce the number of clicks required for any move in all turn-based games and create personal skill combos. So you can focus on the battle itself, not the “clicks”. If you have found another useful method of using Combo Key, do not forget to share it with us in the comments section. 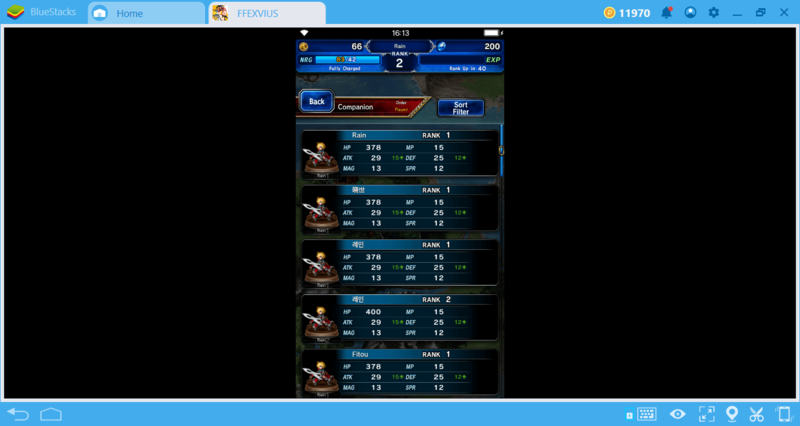 BlueStacks 4.2 brings numerous features that will make your gaming experience much more enjoyable!